Contact us. We look forward to meeting you. Hans Lauk, Editor-in-Chief of Pferdeheilkunde Equine Medicine, was local host for the 2016 IAVE meeting in Baden-Baden, Germany. Hans Lauk graduated from the University of Munich in 1975 and received his doctoral degree in 1976. He was the head of a private equine hospital from 1977 to 1993. In 1985, he founded the journal Pferdeheilkunde Equine Medicine and he continues to serve as its Editor-in-Chief. 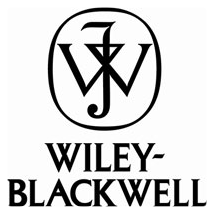 In 2015, the journal became open-access. Since 2000, Dr. Lauk has also served as head of Curricula, a Continuing Education postgraduate program for veterinarians. Hans handled the local arrangements for the 2016 IAVE meeting at the Palais Biron, an elegant venue among the green sloping lawns and gardens of the spa town, Baden-Baden. From preparing the proceedings, to preparing a five-course meal at the reception, to organizing a night out at the casino, Hans ensured that all attendees and guests were comfortable and welcomed. Following the IAVE conference, Hans also organized a successful scientific writing workshop for ~30 veterinarians from Germany and elsewhere in Europe. His contributions to the veterinary scientific editing and publishing community are widely noted and much appreciated. Celia Marr, Editor-in-Chief of Equine Veterinary Journal, was lead organizer of the 2014 IAVE meeting in Split, Croatia. Celia Marr graduated from the University of Glasgow in 1985 and remained in Glasgow as a postgraduate student to obtain her MS in 1990 and PhD in 1991. Celia is an RCVS and European Specialist in Equine Internal Medicine. Her clinical career has focused on cardiovascular medicine, internal medicine, adult and neonatal intensive care, and medical imaging. She has held clinical and teaching positions at the University of Pennsylvania, University of Cambridge, and the Royal Veterinary College. She has also spent considerable time in Thoroughbred practice, previously at Valley Equine Hospital, Lambourn and currently at Rossdale and Partners, Newmarket. Celia also is a consultant to Troytown Grey Abbey Equine Services in Kildare, Republic of Ireland and Ardene House Veterinary Practice in Aberdeen. Celia has published over 60 research papers and educational materials related to medical disorders of the horse, concentrating on cardiovascular disease and diagnostic methods. She is Deputy Chair of the Veterinary Advisory Committee of the Horserace Betting Levy Board and an Honorary Professor at the University of Glasgow. She has served on various committees for the European College of Equine Internal Medicine. Celia is a newcomer to the world of veterinary editing. She became Editor-in-Chief of Equine Veterinary Journal in 2010. EVJ is the highest ranked single-species journal in veterinary medicine, currently ranked 7/129. The journal encompasses all aspects of clinical, applied and basic sciences relating to the horse and attracts submissions from across the globe. Quote: "I see my role as being a conduit between the practitioner and the researcher to enable information, ideas and potential solutions to flow in both directions. I hope to publish research that will change practice and in particular help improve outcomes for horses." The IAVE has held several meetings in conjunction with the biannual conference of the European Association of Science Editors. Through this successful partnership, IAVE members can register for EASE conferences at the member rate, taking advantage of the wide array of excellent speakers, research papers, and educational sessions. We look forward to continued collaboration with EASE at future IAVE meetings. For more information see www.ease.org.uk. Several members of IAVE also are members of WAME. WAME is a global association of medical editors who seek to foster cooperation and communication among editors and improve editorial standards and professionalism in medical editing. WAME has an active list-serv to facilitate discussion. For more information see www.wame.org. The IAVE is a signator of the San Francisco Declaration on Research Assessment, a worldwide initiative that recognizes the need to improve the ways in which the outputs of scientific research are evaluated. For more information see http://am.ascb.org/dora/.